MONTEREY, Calif., Aug. 17, 2012 – Friends of Carroll Shelby, including Ford Motor Company, Shelby American, Ford Racing and many others have built a unique 2013 Shelby GT500 Cobra as a tribute to the late Carroll Shelby. 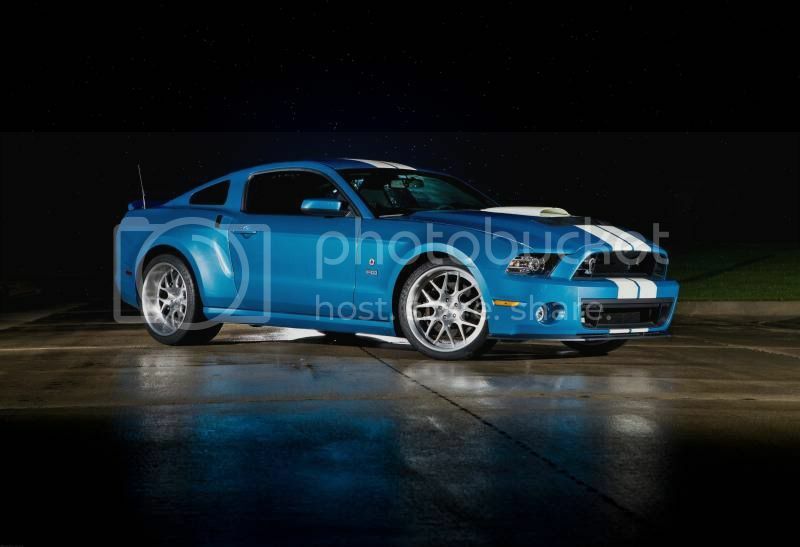 Using the 662-horsepower 2013 Shelby GT500 as a foundation, “Friends of Carroll” created the one-of-a-kind 2013 Shelby GT500 Cobra wide-body Mustang that now generates more than 850 horsepower with the help of a Ford Racing 4.0-liter Whipple supercharger. Ford Motor Company teamed up with Shelby American for several key components on the Carroll Shelby tribute car. 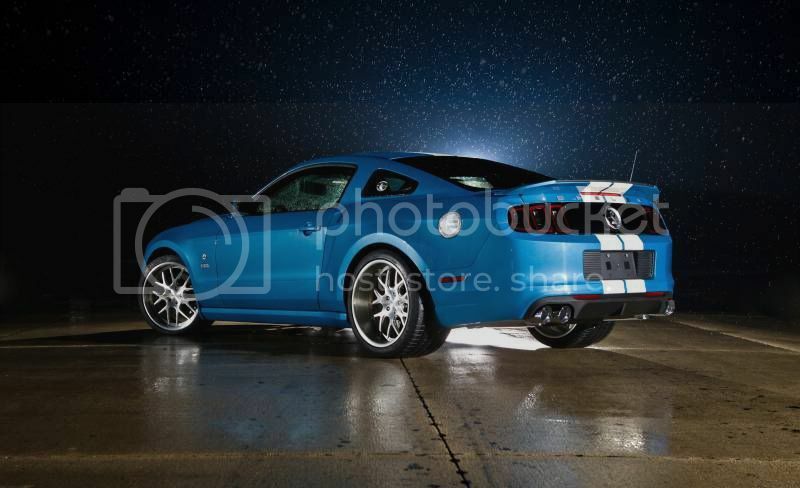 Shelby American provided a specially designed hood, new rear wide-body kit, Shelby Wilwood brakes and new 20x13-inch rear and 20x10-inch front wheels. The bodywork is finished in the same Guardsman Blue with Wimbledon White stripes that graced so many of the Cobra roadsters built in the 1960s. 13 inch rears!!! That is massive, what an animal of a vehicle. That is one if the most inspiring and desirable Fords I have seen in a long time. The stance and wide body kit would be an instant hit and classic if it was ever produced in mass. I would love one personally. What a fitting way to send of an iconic. Blower looks familiar, colour is familiar, sound very similar, but it's missing two doors LOL. Can't wait for the GT500 to come to aus in right hand drive, simply can't wait.